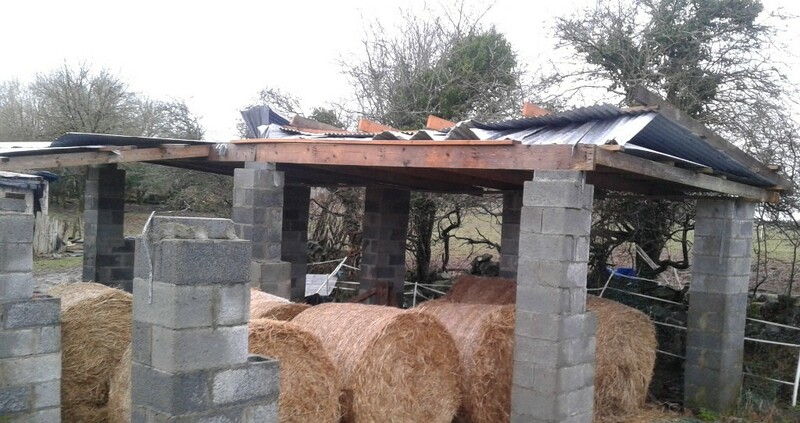 What a beautiful day we had weatherwise in Clare today 🙂 Pardon the pun but so as “not to look a gift horse in the mouth” full advantage of the reprieve granted by Mother Nature was taken and a start was made on the storm damage to the roof of our cattery building. Tonight for the first time since November it is once again waterproof. It will take a few days to fully dry out inside but hopefully it will be ready for use again in two to three weeks. 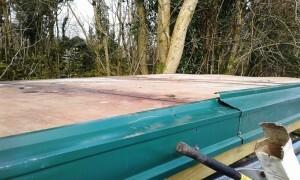 We are going to try tying strapping onto it and attempt to pull it back over with the help of the tractor so we can get a better look at the galvanise sheeting to see how many sheets need replacing, roof timbers are needed, etc. 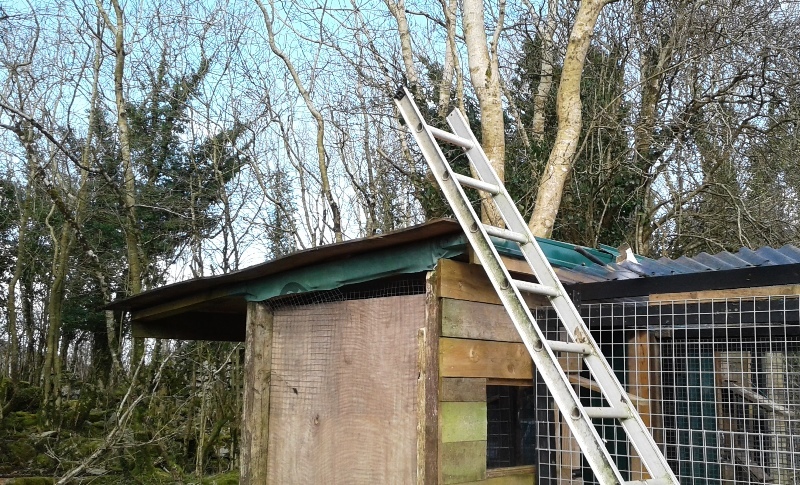 Once the roof is sorted we will have to look at closing in the back and one side wall to reduce the amount of wind getting in under the roof. In an ideal world, or if we won the lotto! !, we would build a bigger barn that would store a full load of hay but for now we will carry on with what we have. Weather permitting we are thinking of having a volunteer day/weekend at the end of March/beginning of April to get all the remaining repairs done. If this is something you would be interested in being part of please send us your contact details so we can let you know the time & date we decide upon. Over the coming weeks we will put up appeals for materials needed for the repairs so do keep an eye out for these if you know anyone who would donate or sell at cost to us.